The Rebel Sweetheart. : One FC: Warrior's Way | Brandon Vera's Homecoming. One FC: Warrior's Way | Brandon Vera's Homecoming. 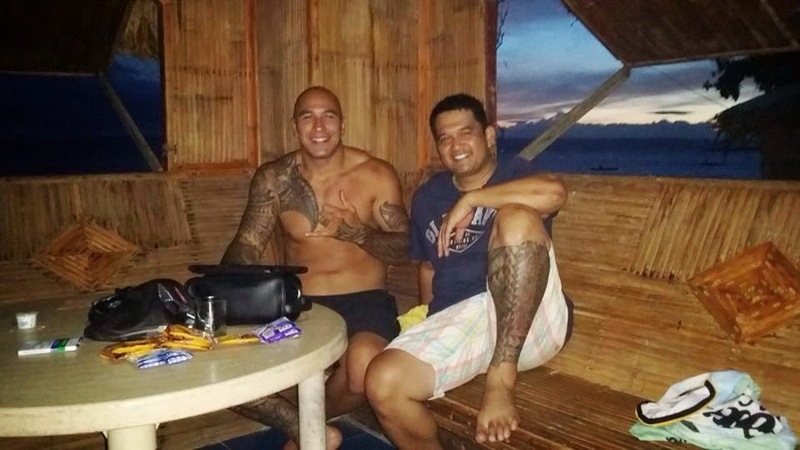 Most were left intrigued when mixed martial arts superstar Brandon Vera spoke in Tagalog during the press conference held at NBA Cafe last September 3. In the said event, Vera's One FC signing was announced, as well as his debut match which will be held on December 5 at the Mall of Asia Arena. It is not an uncommon fact that there are some Filipinos who would change their accent the moment they land in the US, even for a short holiday. One then wonders why Brandon Michael Vera, a US citizen, would imprint the alibata - an ancient writing system that now only appears on history books - on his back for all the world to see. He fought for 8 years in another organization and during his fights, he would bear the Philippine flag as he walked down the Octagon, or would have its logo imprinted on his fighting gear. Brandon was left by his Italian-American mother at age 3. Eventually, he was raised by a Filipina step-mom and a Filipina grandma who taught him and his siblings to eat with his hands (kamayan). He is an expert at it and that skill became evident when Mark Zambrano of GMA-7 had a one-on-one interview with him at Kamayan restaurant last October. Who among us even bothers to eat without utensils? Is it not that we have this ardent desire to depart from what our culture has inculcated on us? Then here comes Brandon with all the privileges of an American citizen, born and raised in the land of milk and honey, and he attempts to have a dual citizenship. Isn't it ironic? Perhaps because he was abandoned by his mother at such a young age, perhaps it is his need to put down his roots to what he wants to call home, perhaps he just wants to become closer to his Filipino fans. Whatever it is, let us welcome him home, as he has done so much more than most Filipinos who were born and raised here in terms of embracing culture and heritage and being immensely proud of his roots. Welcome home Brandon! See you on Dec. 5!